I always find Discovery Channel documentaries as fascinating and new things to learn, enhance knowledge and feel the same astonishing moments while making these documentaries. 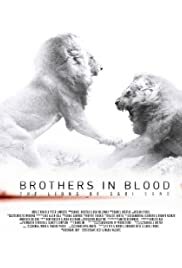 By watching Brothers in Blood: The Lions of Sabi Sand, it is entirely different from any documentary that we mostly see how a lion's pride hunt as a team and whole pride stay together. Again, I really appreciate all the team members' work for making Brothers in Blood: The Lions of Sabi Sand, as one of the greatest documentary ever made on the life of lions.